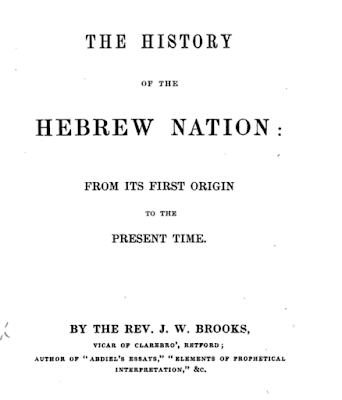 As regards the present political condition of the Jews, notwithstanding the decrees in their behalf which have been passed, the Christian reader will be deceived if he concludes that the reproach of Israel is yet “rolled away from off all the earth.” The public mind has recently been startled by the report of cruelties and injustice to which the Jews of Damascus and Rhodes have been subjected, as if such instances of persecution and oppression were a novelty in these times. But in the East the Jews have all along been exposed to them, though their wrongs have failed until now in arresting particular attention. In the year 1823, at the same Damascus, all the Jews suspected of having property were thrown into prison, and compelled to pay forty thousand purses or lose their heads. At Safet, in 1834, their houses were stripped, and great personal cruelties inflicted upon them, for the like purpose of extorting money; and generally in Syria they were compelled to work for the Turks without payment, being bastinadoed if they remonstrated. The lowest fallaah would stop them when travelling, and demand money as a right due to the Musselman; which robbery was liable to be repeated several times a day upon the same Jew. Throughout the East they are obliged to affect poverty in order to conceal their wealth ; the rulers in those countries making no scruple of seizing what they can discover. And though not interdicted from holding land, yet the enormous taxes demanded of them (equal to one-third of the produce, whilst the Mahometans pay only one-tenth), effectually exclude them from agriculture. The occupation of Syria by the Egyptians did not mitigate the hard condition of the Jews of Palestine’ They were still defrauded and insulted; the commonest soldier would seize the most respectable Israelite, and compel him by blows to sweep the streets, and to perform the most degrading offices. The contempt indeed in which they are held by Mahometans, however difficult to be accounted for, exceeds that which they have experienced in Christian lands. In the East they are truly become a proverb, the term Jew being applied despitefully, as the most reproachful and degrading known. In Morocco they are equally ground down by a barbarous despotism. The Moors consider that the object of a Jew’s birth is to serve Musselmen, and he is consequently subject to the most wanton insults. The boys for their pastime beat and torment the Jewish children: the men kick and buffet the adults. They walk into their houses at all hours, and take the grossest freedoms with their wives and daughters, the Jews invariably coming off with a sound beating if they venture to resist. In 1804 those of Algiers were subjected to horrible tortures, being suspended from the walls by long ropes with hooked nails at the ends, merely because they had unsuspectingly lent money to persons who were secretly conspiring against the Dey; nor were they released without the payment of a large sum. In 1827 the Dey threw a rich Jew into prison for no other purpose than to extort from him 500,000 Spanish dollars. At Tripoli the bashaw extorted a large sum from them on account of the drought, which he declared them to be the cause of. 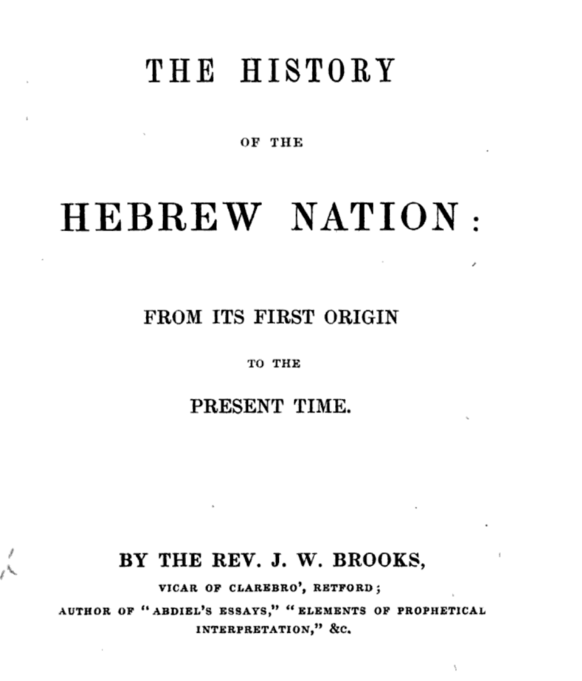 Mr. Ewald, after describing the beauty, fertility, and prosperity of the island of Gerba in Morocco, “where, if any where, (he says) every one lives quietly beneath his own vine and fig-tree,” next speaks of the Jews as the only exception, among whom he nowhere witnessed greater poverty and oppression; insomuch that he could have imagined he was beholding the Israelites of Egypt in Pharaoh’s time, under their taskmasters. They were the quarrymen, hewers of wood, and drawers of water; their food consisted entirely of barley flour with salt and water; and they were altogether in an abject state of slavery. Since the occupation of Algiers by the French, the political condition of the Jews in that part of Morocco is improved; but their religious state, from their having imbibed the French infidelity, is more hopeless. We are doing everything we can to fight for Israel with hard work, research and – above all – the truth. I could sure use your help. Iran covers up Star of David at airport. Swastikas are OK, though.